Thanks to ongoing structural improvements on our website provided by the Scholarly Publishing Office of the University of Michigan Library, our readers will now notice several overall upgrades in interface and performance. These include multiple viewing sizes, the improvement of image quality—most especially in books with numerous grayscale illustrations—and a smoother and more consistent page transition. We’ve also added many new online reviews to new and previously added titles. 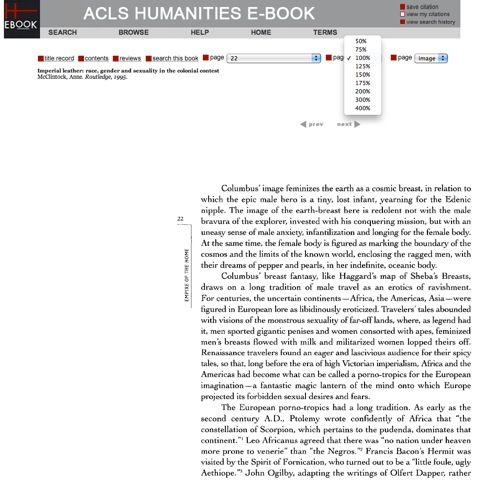 Readers will also note new features and improvements in our library of XML titles, including many new links to related scholarship within HEB; newly formatted page-break indicators in print-derived XML books (in direct response to reader feedback); and improved pop-up functionality. 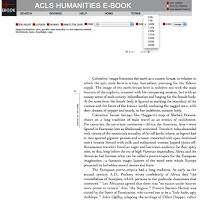 These join the improved functionalities added over the past two years: page-viewing options that now include page-image, PDF, and text views (allowing citation copy-and-paste within Fair-Use guidelines); the ability to print and download up to three pages at a time; and the addition of numerous publisher series. All in all we think these changes make our site even more user-friendly, intuitive, and easy to navigate. We welcome your continued comments and suggestions for further improvements.